They say that Captain Austin Ross was a man who knew no bounds. Migrating to Horicon from Vermont at the age of 5, he enlisted in the Union Army, (not at 5), and then returned to Horicon as a farmer and lumberer. That was when he tested life by air, by sea, (meaning Brant Lake), and by land. Austin flew one of the first airplanes and, we assume, landed successfully. Then he became the captain of three steamboats that moved logs from the north end of Brant Lake to distant ports. One of those boats, was the Thayendanega, named after the Mohawk Indian chief, also known as Joseph Brant, who gave his name to Brant Lake. The boat went down somewhere off Crooks Island and, probably, still lies there as a water-logged memorial to Captain Austin Ross. To the best of my knowledge, no one has explored the depths of Brant Lake searching for the grave of the Thayendanega since logs lack the appeal of gold. However, Austin Ross’ most exciting journey occurred neither in the air or in the water but, rather, off Beaver Pond Road where his family lived, proving that true excitement is not found in the wilds of New Guinea, or on an Arctic glacier, but on Beaver Pond Road. So, the next time you seek adventure look close to home. It may be in your own driveway—as you will now see in the thrilling journey of Captain Austin Ross. I cannot pinpoint the date of this event but, since the tale includes a very early Model T Ford and since Austin tried every new method of transportation, I would place the time somewhere in the early 1900’s. 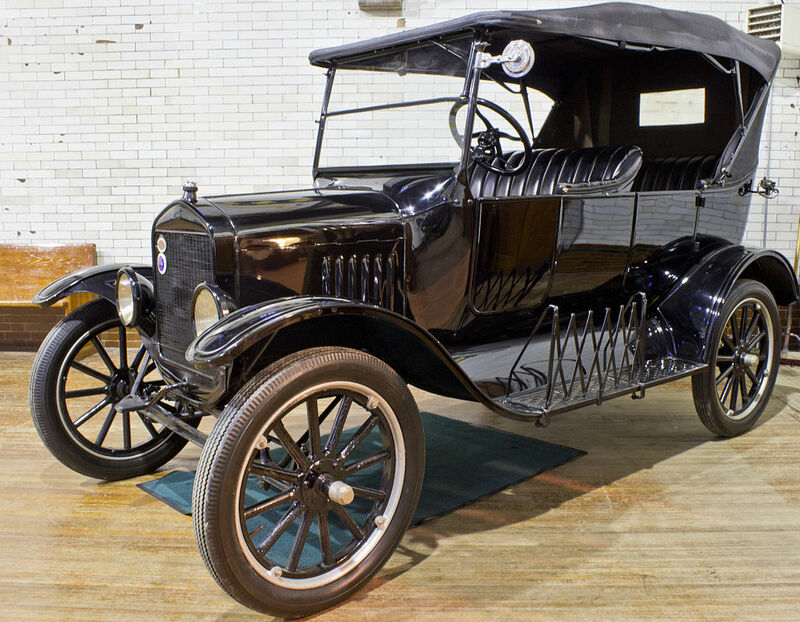 The first Model T dates to Detroit, October 1, 1908. Austin was born in 1842. He would certainly be an experienced driver by 1908—although not driving a Ford. His method of conveyance was the good old-fashioned horse and buggy. But how could our hero pass up a car that cost $825, had a 22 hp, 4-cylinder engine , and weighed 1200 pounds? Of course, the answer is, he couldn’t. Friends and neighbors gathered at the top of Austin’s gently descending dirt driveway for his maiden voyage. A hush fell over the crowd as Austin cranked the motor and the Basset hound ran for cover. He was off! Knowing the gas pedal was on the floor, Austin stepped firmly. The car gathered momentum. Who knows how fast the Model T surged? 5 mph? 10 mph? Soon the road came into sight and, across the road, a grove of evergreens. Austin hurtled forward, closer and closer to a giant white pine. But Austin beamed. He was in control, except no one had told him that cars had brakes. What brake? Where was the brake? April 2, 2017 in Brant Lake.